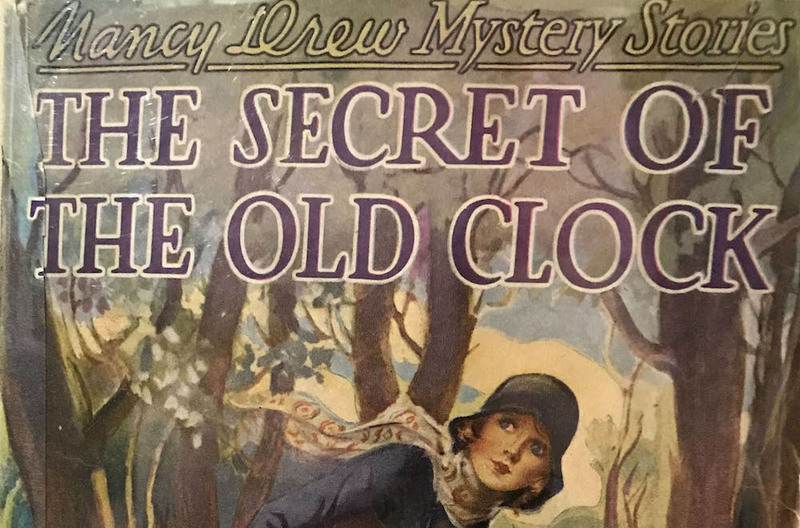 A photo of Jennifer Fisher’s personal copy of the first edition of the Nancy Drew mystery The Secret of the Old Clock. Courtesy of Jennifer Fisher. Nancy Drew struggled this way and that. She twisted and squirmed. She kicked and clawed. But she was powerless in the grip of the man. ‘Let me go!’ Nancy cried, struggling harder. The man half-carried, half-dragged her across the room. Opening the closet door, he flung her roughly inside. Nancy heard a key turn in the lock. The sliding of a bolt into place followed. As any of the generations of fans of the fictional girl detective Nancy Drew—heroine of hundreds of serial novels published from 1930 to this day—can tell you, Nancy does not stay locked in the closet for long. She tries to pick the lock with a hairpin, then uses a clothing rod to pry off the hinges, while giving one of her trademark side lectures—this time, on Archimedes and the wedge. This teenage detective became the archetype of a kind of tough American woman: smart and fierce in the face of violence, but also well-respected by police and her doting father. Fashionable, too. Even though she was just a fictional character, she was inspirational, and none other than Supreme Court Justices Sandra Day O’Connor, Ruth Bader Ginsburg, and Sonia Sotomayor have said she was a huge influence in their lives. Over the course of more than 600 books, Nancy Drew’s adventures were often repetitive, and though her cars and clothes were frequently updated, she always remained the same age. Accompanied by her best friends Bess and George, she unearthed lost wills and heirlooms and found missing people. She explored hidden staircases and spooky haunted houses. Tenacious and plucky, Nancy had a boyfriend, the handsome Ned. She always fought to right wrongs, using her smarts to wriggle out of perilous situations. Nancy Drew got kidnapped. She was knocked unconscious. Foes threatened her to stay off cases (or else!). What she offered American girls was a sense of resourcefulness. She taught us to signal SOS with a tube of lipstick, to break out of a window using spike heels, and to always keep an overnight bag in our car—a girl never knew when she’d encounter a sudden overnight sleuthing adventure. Real-life kidnapping victims have said that Nancy Drew stories inspired them to use their wits to escape; successful women in law enforcement say Nancy Drew led them to their careers. The real mystery of Nancy Drew is how such a fictional character could inspire real women. Clues can be found in the woman who fleshed out the young detective’s personality, who was named Mildred Wirt Benson. Over the years many different writers worked on Nancy Drew’s stories, which were always published under the pen name of Carolyn Keene. But the very first books in the series, the ones that established her particular steely bravery, were written by Benson, who was just as tenacious and bold and independent as her heroine. Benson sought adventure and bucked conventions throughout her life. Once she was even locked in a room. Mildred Augustine was born in 1905 in Ladora, Iowa, a rural farming community near Iowa City. An avid reader of children’s classics like Louisa May Alcott’s Little Women, children’s magazines, and serial fiction, she preferred the books written for boys over those for girls, she said, because they focused on adventure and action. The young Benson liked to write. When she was 13, her short story “The Courtesy” appeared in St. Nicholas, a monthly children’s magazine that also published notable authors like Louisa May Alcott, Mark Twain, and F. Scott Fitzgerald. The story won a second-place silver badge in a monthly contest. “When I grow up I’m going to be a GREAT writer,” Benson later recalled saying. In rural Ladora, there were few career opportunities for women outside of domestic pursuits. Most girls planned on raising families and helping run the farms. Benson was a country doctor’s daughter who often rode with her father on patient calls, and that life was never in the cards. Benson’s parents encouraged her to get a college education, and to pursue adventure and her writing career. She graduated early from high school and enrolled in the University of Iowa, excelling in her classes and as a championship diver. She graduated with a degree in English in 1925—just five years after women earned the right to vote—and soon after, in 1927, she would become the first student, man or woman, to earn a master’s degree in journalism at Iowa. She traveled to New York City, where she began pursuing her long-sought career in writing. [Nancy Drew] was treated as an equal by her father and by many in law enforcement, and she never gave up when the going got hard. Her spirit struck a chord. During her first trip to New York she met a businessman named Edward Stratemeyer whose company, the Stratemeyer Syndicate, hired ghostwriters to write popular books. For a flat fee, these writers produced manuscripts based on outlines provided by the syndicate, signing away their authorship rights. Stratemeyer then attributed the books to pseudonymous authors and farmed them out to publishers. It was a very successful business model that churned out popular series such as “The Bobbsey Twins,” “Ruth Fielding,” “Tom Swift,” and “The Hardy Boys,” the boys’ detective serial that had started in 1927. “As oil has its Rockefeller, literature has its Stratemeyer,” Fortune magazine wrote of the publishing magnate, in 1934. He mailed the document to Benson, who set out to breathe life into the sleuthing heroine, giving her a healthy dose of her own independence, bravery, and feistiness. Benson’s original Nancy Drew, depicted in books such as The Hidden Staircase, The Secret at Shadow Ranch, and The Clue in the Crumbling Wall, was a brash and daring sleuth. The 1930s and 1940s, when this first Nancy Drew debuted, were a time when girls who liked to read were ready for something more than the norm—those books Benson described as “namby pamby” girls’ series of the time. Life was hard for kids during the Great Depression and World War II, and parents didn’t sugarcoat the evil in the world. Reading about an adventurous girl who faced down the dangers around her provided young readers a safe escape from the troubles of the day, while also offering a nod to difficult times. Benson’s Nancy Drew paved the way for all of the others that followed, though the character was softened in later years. Underwood typewriter used by Mildred Wirt Benson, also known as Carolyn Keene, to write several of the “Nancy Drew” mysteries. 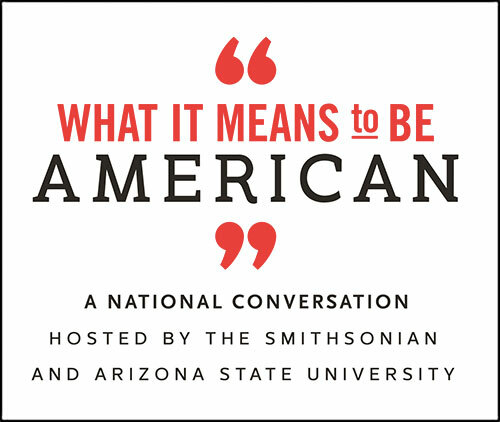 Photo courtesy of the National Museum of American History. Nancy Drew was independent and was not tied down by work, domestic pursuits, or a fretting mother (hers had died). She was treated as an equal by her father and by many in law enforcement, and she never gave up when the going got hard. Her spirit struck a chord. Nancy Drew personified “the dream image which exists within most teen-agers,” Benson wrote in an autobiographical essay in 1973. This teen of 1930s remained culturally relevant for more than 80 years, even as young women’s roles changed dramatically. Mothers and grandmothers passed the books down to their daughters. “Women still tell me how they identified with Nancy Drew and that Nancy Drew gave them confidence to be whatever they wanted to be,” she told an interviewer in 1999. Benson also worked as a journalist for more than 50 years, mainly in Toledo, Ohio at The Toledo Times and the Toledo Blade. She worked the courthouse beat, tenaciously shaking out the facts about local crimes and city corruption. Later she wrote features, aviation columns, and a popular column for active seniors. After all those years of writing series books adventures, Benson embarked on real-life adventures. During the 1960s, she trained to become a pilot and traveled to Central America to view ancient Maya sites before they were opened to widespread tourism. She traveled alone, braving crocodile-infested rivers and jungles she had to hack through with a machete. She was even once locked inside a room, in Guatemala in the early 1960s, by some locals who thought she knew too much about criminal activity in their town. (In that moment, Benson later said, she ruefully thought, “What would Nancy do?”) Eventually Benson, in true Nancy Drew style, overpowered one of her captors and escaped. Like any good sleuth, she later returned to Guatemala to learn more about what had happened to her. It would be decades before most Nancy Drew fans learned that Benson was the original Carolyn Keene—the Stratemeyers always kept authors’ identities under wraps, preferring to tell fans that the family wrote all the books. The truth slowly leaked out, starting in the 1970s, thanks to researchers who discovered Benson had been Carolyn Keene. 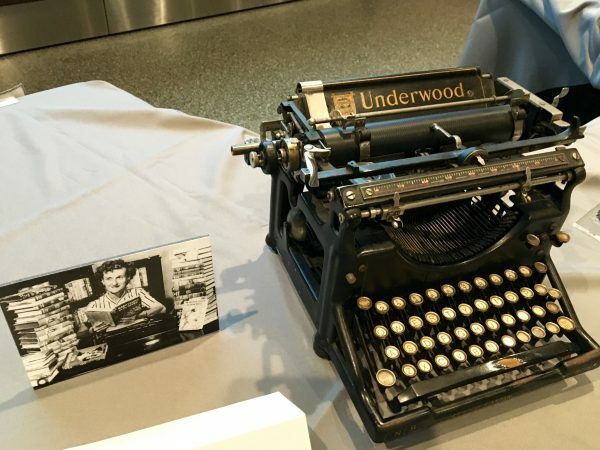 In the early 1990s, Benson donated a series of papers and her Underwood typewriter to the Smithsonian Institution’s National Museum of American History. And in 1993 the University of Iowa held a widely-publicized Nancy Drew Conference, after which Benson finally got the public credit and adulation she deserved. She was even named the “Person of the Week” by ABC’s World News Tonight with Peter Jennings. Benson told Jennings that she’d probably still be writing when the undertaker walked through the door. She was right—she was working in semi-retirement on a column for the Toledo Blade on May 28, 2002, the day she died, at age 96. Jennifer Fisher is president of the Nancy Drew fan group, The Nancy Drew Sleuths, and plans their annual conventions and merchandising lines. She is currently writing a biography of Mildred Wirt Benson.